In home décor, the little things also matter a lot in overall beautification process. Starting from the color of the wall to the carpet, everything matters in the pursuit of perfection. Similar is the case about shower curtains as well. Strategically placing the shower curtain can offer an absolutely stunning look to your washroom. Given below are some incredible shower curtains positioning ideas to give your bathroom the best look. If your bathroom is comparatively wider, this can be a fantastic recommendation to go by. Place the bath tub at one corner, having enough space up front of it. Have a nice lighting arrangement at its rear wall, so the shower curtains get nicely highlighted. It means when someone passes by the entrance, he/she has to come across with a nice glowing curtain piece scintillating the view of the room. It would be even better if there is a transparent window at the rear end, or any arrangement that can allow the passage of sunrays. This is another trending idea you can go by. Again, the ideas of such also suit well for the larger rooms than the smaller. Here the shower section of the bathroom or the section where you place the bathtub has to get another door. It means there will be a couple of doors in entire bathroom arrangement- one at the main shower curtains entrance, and the other for the bathtub. The best part of this idea is that you can combine your with a nice plywood decoration. Overall, it offers an articulate approach for your bathroom decoration. Carpets are not for the bathrooms; everyone knows this. However, doing something different is what termed as the trend. Well, no one asks you to spread the carpet across the entire floor; all you need is to combine a small piece of carpet at upfront of the shower curtains. Use the same shed and color for a better combination. Otherwise, you may select a bit contrasting piece to give it an attention dragging appeal. Trend is a continuous process of evolution. Taking the case of shower curtains itself, spreading the extra-large ones of these (almost of roof high) used to be the trend a few years back. However, the scenario has certainly changed. 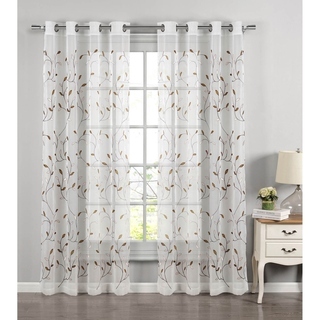 Comparatively smaller length of curtains is given higher preferences. At least, it is preferred to have the space of at least half the length of the curtain over the top. It makes the room look spacious, and reflects a royal appeal on it. It also helps in better space management of the room through proper utilization of the goods inside. Many people prefer having dual shower curtains arrangement. In such cases, make sure the bath tub is centrally located. It helps in better arrangement of other goods inside the room.